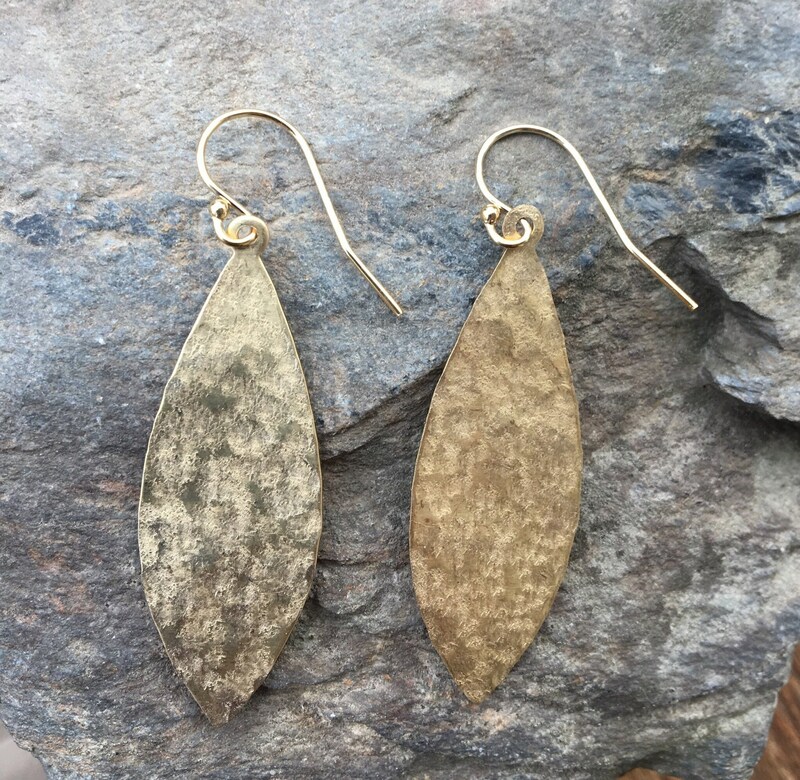 These stunning brass petal earrings are gently hammered by hand. 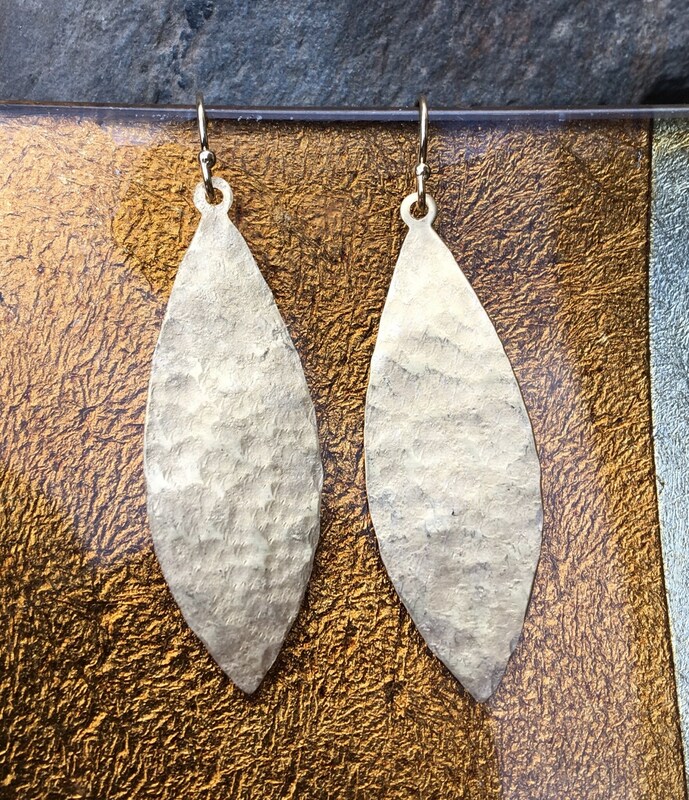 Gold filled earring wires are then added to give these earrings a rich, timeless style. These will become a favorite in no time! They measure 1 15/16” long & 9/16” wide at the widest point. The petal measures 1 5/8” long. 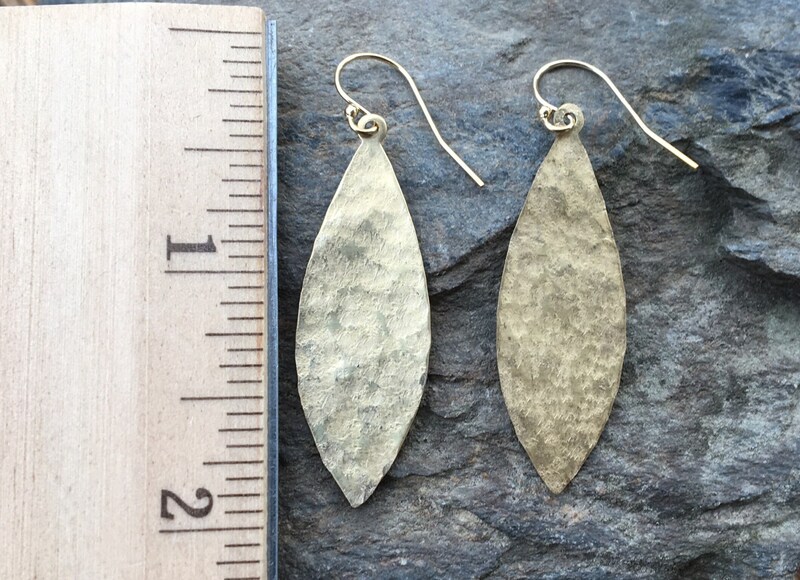 Earrings will be packaged for gift giving. The box opens/closes with a white magnetic bow..